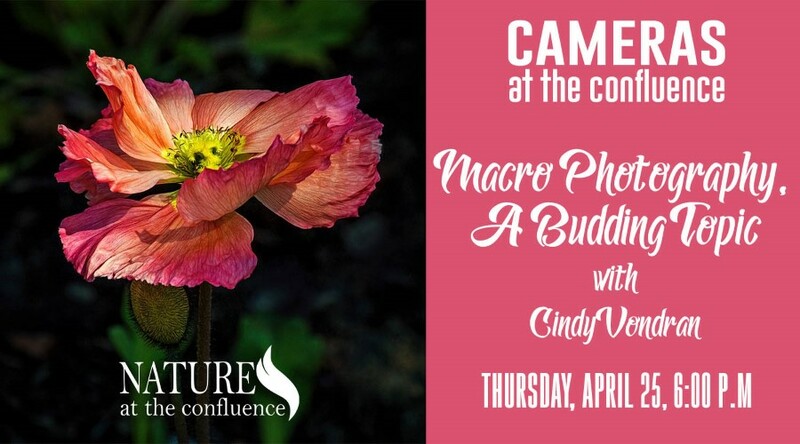 Thursday, April 25, 6:00 p.m., “Macro Photography – A Budding Topic”, Spring has so much life bursting onto the scene and one of the most incredible ways to photograph it is by way of macro photography. Macro photography is the art of photographing objects extremely close-up. Award-winning photographer Cindy Vondron is our featured photographer. You can view her work at her website. Cindy has always lived in Northern Illinois, she was born in Freeport, and currently resided in Rockton where she lives with her husband of 41 years. She received her BFA at Rockford College in 2013. She has won 20 International awards, including 5 in the International Garden Photographer of the Year. Her work is exhibited all over the US and Europe, and has been published numerous times. She just certified as an Illinois Master Gardener. She loves shooting all kinds of subjects, but especially flowers. She is currently working on setting up garden photography workshops at various gardens across the US and Canada. 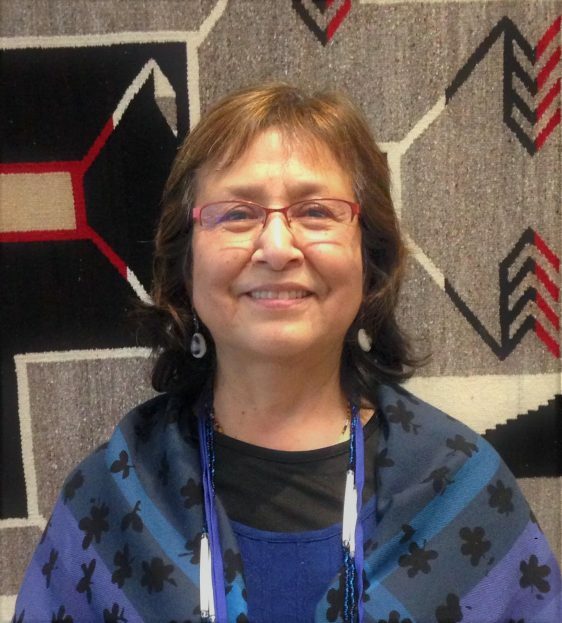 Oral storytelling is one way that Ho-Chunk culture, traditions, and language are passed down from generation to generation. 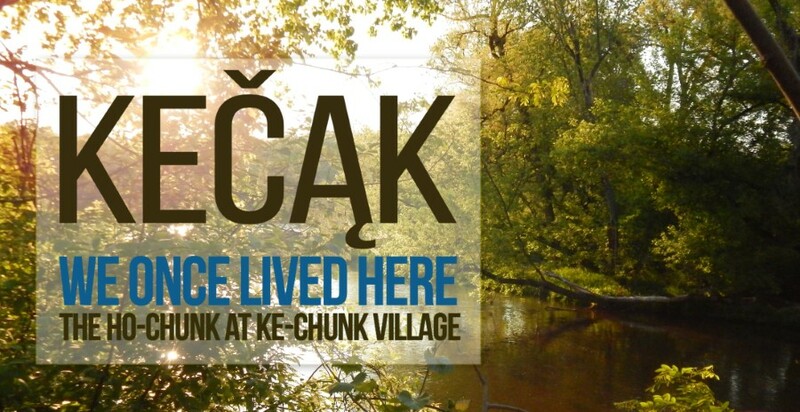 The featured story is the “The Ho-Chunk Courting Flute”. Storytelling and an art project are part of this program for ages 7-11. Free program is funded through a grant from Col. Robert H.Morse Foundation. Would you like to be informed of new Nature Kids Programs? Sign up below. Come hear the tales from the Rock River Trail from paddlers Gary Meier, Terry Meyers and Perry Folts of Beloit, WI. You’ll learn about the paddling adventures these three paddlers had while paddling the 320 miles of the Rock River Trail. They started their journey in 2017, launching from Beloit to tackle the Illinois portion of the journey. In 2018 they headed out to finish the trail on the Wisconsin portion. Learn more about the Rock River Trail. ► Video Debut! As a bonus, you’ll be the first people to see the new Rock River Trail video! ► Free event. Register below reserve your spot, as only 50 spots will be made available. ►The Rock River Trail was established in 2010 to promote recreational use of all 320 miles of the Rock River. In 2013, it was designated by the National Park Service as the nation’s 10th National Water Trail. 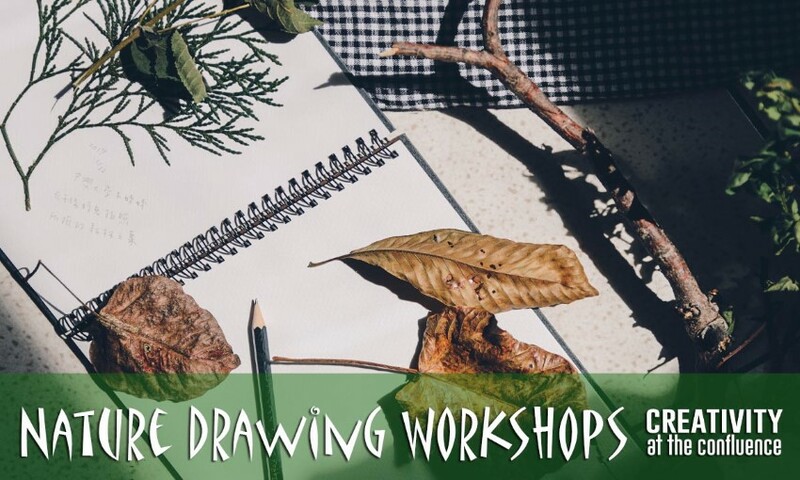 We’re offering 3 Nature-based drawing classes for which you can sign up individually for $15 each or you can sign up for all three at once for $35 total. May 2 – 6:30 to 8pm – Landscape Gesture Drawing! Working in charcoal we will discuss the steps through which a successful gesture drawing is made and how that then translates into landscape drawings. In addition to other helpful tips regarding observation and technique. 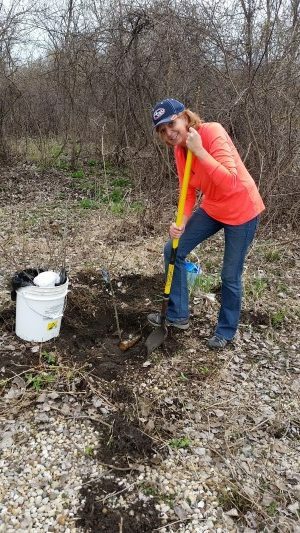 May 9- 6:30 to 8pm- Trees! The beauty of a tree is tough to capture on paper, this workshop will provide tips and tricks into depicting massive wonders. We will discuss the anatomy of drawing a tree and practice these techniques as well as receive feedback throughout the process. May 16 – 6:30 to 8pm- Birds! Wisconsin is home to over 300 species of birds and each one creates its own challenges when it comes to portrayal. Join this workshop for a crash-course on bird anatomy and effective ways to capture our flying friends on paper. These workshops will be lead by Lemon Wood an artist at Beloit College. You are asked to bring your own sketchbooks (if you have them, if not, there will be some paper available) and Lemon will provide all of the drawing utensils you will need. All Three Workshops - save! Thursday, May 23, 6:00 p.m., “”, Featured photographer to be announced. 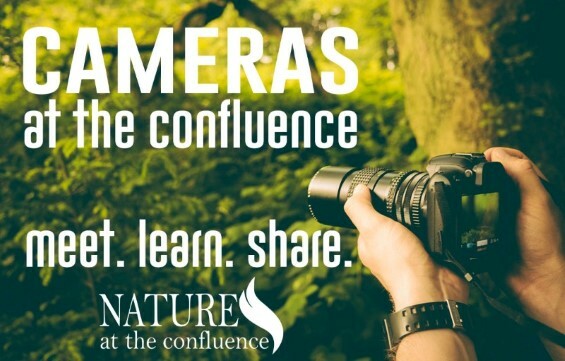 Cameras At The Confluence is free monthly program that features a new photography topic each month with special guest speakers and experts. Participants will have time to discuss and try new techniques and share tips during the program. 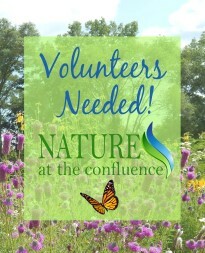 This free program, held at Nature At The Confluence Learning Center, 306 Dickop Street, South Beloit, Ill, is open to area photographers of all skill levels and no registration is required. Beloit photographer Mark Preuschl will be the facilitator at each program and each month a photographer that specializes in the monthly topic will be the guest presenter. 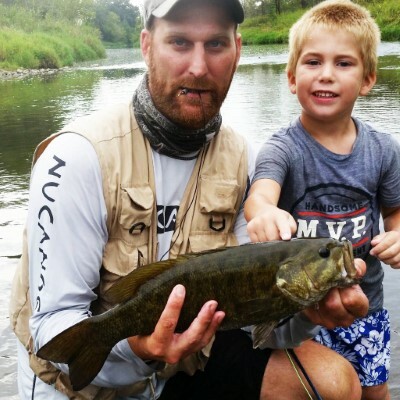 Fly fishing is fun, relaxing and easy to learn for all ages. 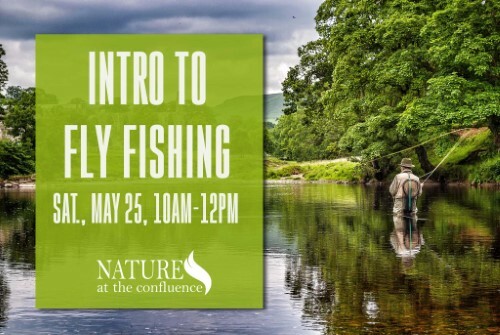 In this basic intro course you’ll get tips on how to choose fly fishing gear & tackle, where to fish, how to safely release fish and more in this program offered by Joshua Glovinsky, owner of Midwest Fishing Adventures. After the indoor program, we’ll head outside where you’ll have an opportunity to practice casting on the land, then head to the creek for an on-water demo by Josh. As you’ll be only casting on land, no fishing license is needed.